The focus of Carphone Warehouse’s new network iD is on flexibility and transparency, but is that the case? CARPHONE WAREHOUSE HAS officially launched its mobile phone operating service iD today. The service, which was originally confirmed in 2014, is the first of two new networks launched this year. UPC also has a network in the works but the official launch date hasn’t been confirmed yet. So what do you need to know about it? Here’s the rundown. iD is a MVNO (Mobile Virtual Network Operator) meaning its services run off the Three network. Similar to Tesco Mobile, it started off life in the UK before launching in Ireland today. The network is mainly targeted towards young adults (25 – 34 year olds) who are moderate to heavy data users, and are most likely prepay users. As part of its operations, it will have a call centre based down in Waterford where 50 people will be employed. The ultimate goal for iD is to have 6% of the market share in five years. In layman’s terms, that amounts to roughly 300,000 people on the service. While Carphone Warehouse has its own network, the company will still continue to include rival networks, such as Vodafone, Three and Meteor, in its phone offerings. Is it doing anything different than other mobile networks? 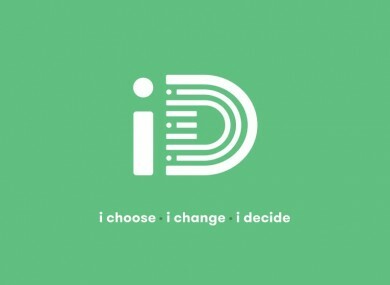 iD is promoting itself as a mobile operator that is both transparent and flexible. The former ties into contract plans and costs over months – you know exactly what you’re getting into before you part with your cash – while the latter applies to when you’re choosing your plan and having the option to change your plan monthly. That’s a longer answer… which depends on how much you’re paying per month and how much you’re willing to pay for said phone. You must choose a plan for calls, texts and data – there’s no option to omit one like texts for example – and how much you’re going to pay upfront. All plans include 4G as standard, provided the phone you’re using is compatible, and tethering is allowed. The only thing you can’t change is the length of the contract. Once you decide to go for a 12, 18 or 24 month contract, you’re stuck with it until you pay off the handset. That cost is fixed but you can still change your phone plan. In terms of the contract itself, the cheapest possible deal would be €10 while the most expensive one is €29, although you have the option of changing your tariff each month if you wish. The plans for both prepay and billpay are the same. And what about the handset itself? This comes in two parts: the upfront payment for the handset and the monthly payments for it. You can change the two but the less you pay upfront, the more you’re going to pay for the device on a monthly basis. One factor that iD is pushing is what it calls a “fully-transparent bill” which separates the cost of the handset from your monthly bill. This is to show users how much they have left to pay off. There is a SIM-only plan available and you can trade in your old phone and use that to pay for part of your phone deal, although how much you’ll get off really depends on how recent your device is. How does that compare to rival operators? On the surface, pretty competitively. Its closest rival, in terms of cost, would be Tesco Mobile which fares better in the texts and minutes plans but iD appears to edge it based on data. This was backed up by mobile plan comparison app KillBiller who found it offered the best 4G plan but was edged by Tesco Mobile when 3G plans were also taken into consideration. Consumers will likely find the option of a flexible plan enticing although it is more attractive for heavy data users, although the fact that it’s on Three’s network could mean coverage becomes an issue, especially in rural areas. The company did announce it was investing €300 million in improving its infrastructure over the coming months so this could change. There are 17 available but it’s a limited selection for now. The iPhone range is one noticeable omission (although it is working to have the next version when it’s announced in September), and the only high-end devices are the Samsung’s Galaxy S6 and Edge and HTC’s One (M9). Will it have any impact on the market? That’s a hard one to say. It certainly has picked out the right demographic to aim for – it’s reasonable to assume that the 25 – 34 year old demographic is savvier with technology than other demographics – but it still has a significant amount of competition to face. For example, Tesco Mobile is the biggest MVNO in the country with a 5.9% market share, and it’s been around since 2007. Much of it will boil down to advertising and picking the right opportunities to get the message out there. It won’t be easy, but for the consumer, there’s more choice and that’s never a bad thing. Email “Ireland is getting another mobile phone network. Here's what you need to know about iD”. Feedback on “Ireland is getting another mobile phone network. Here's what you need to know about iD”.